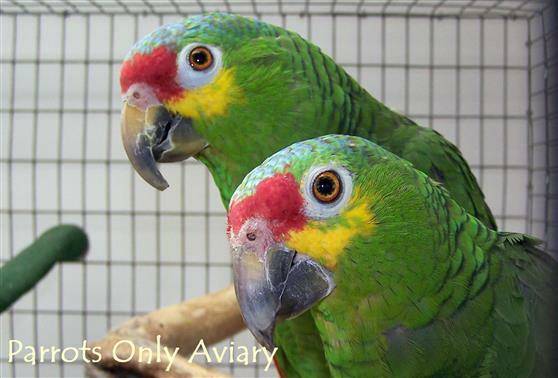 The Red-lored Amazon has an overall green coloring. The lore and forehead are red, the crown is blue, and the cheeks are yellow. The wings are a spectacular array of color; green with red in the middle and blue on the outer edges and on the tips. Amazons enjoy human interaction as well as interaction with other birds. They have large personalities, are very intelligent and active and will need plenty of toys to play with. Loves to climb and play. Can be excellent talkers.